Restaurants | Remains of L.A. 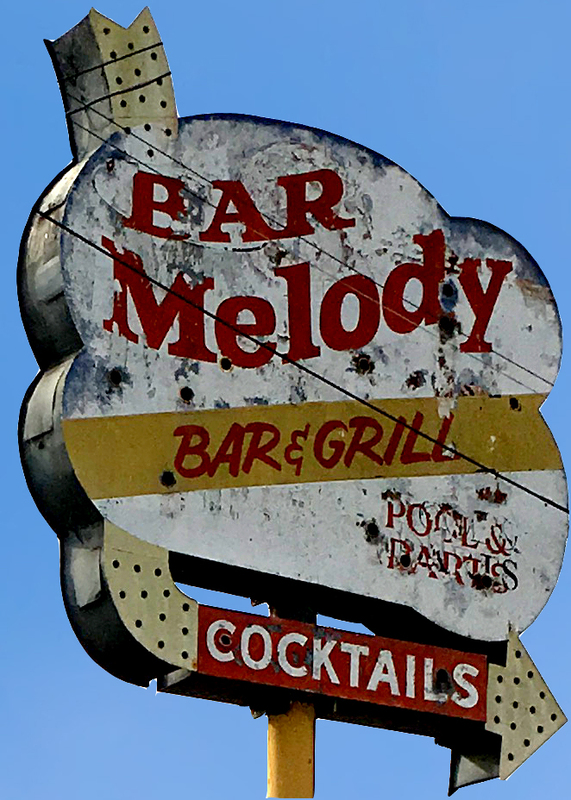 I was picking up friends at the airport and got there early so I could have lunch at the Melody Bar & Grill. In the evenings they have live music and I thought that if I visited then, with the noise and the dim lights and the crowds, it would be a lot harder to take notes and pictures. So I went just before noon, right after they opened, and it was nice and quiet and nearly empty. Categories: Restaurants | Tags: bar, historical los angeles, LAX, Restaurants, retro, vintage, Westchester | Permalink. 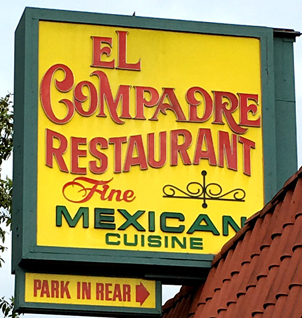 David (my husband) and I went to El Compadre with our friends Vanessa and French, and their daughter Helene who is almost three, and who I’ve been babysitting since she was a tiny baby, and who is awesome. Categories: Restaurants | Tags: 1975, historical Hollywood, historical L.A., historical los angeles, hollywood, Los Angeles, Mexican Restaurant, Restaurants, retro, vintage | Permalink. 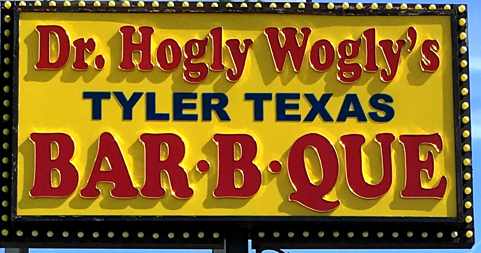 Went to Dr. Hogly Wogly’s Tyler Texas BBQ with my friends Corey and Michael, and Michael’s two-year-old son Rocco. We were going to go to My Brother’s Barbecue, but it had closed down. Several places on my list have shut down in the year since I started the blog. It is a bit disheartening. But anyway, Dr. Hogly Wogly’s Tyler Texas BBQ turned out to be a great choice for the four of us. Categories: Restaurants | Tags: 1969, Barbecue, historical L.A., Los Angeles, Restaurants, retro, vintage | Permalink. One year ago today, I blogged my first restaurant. 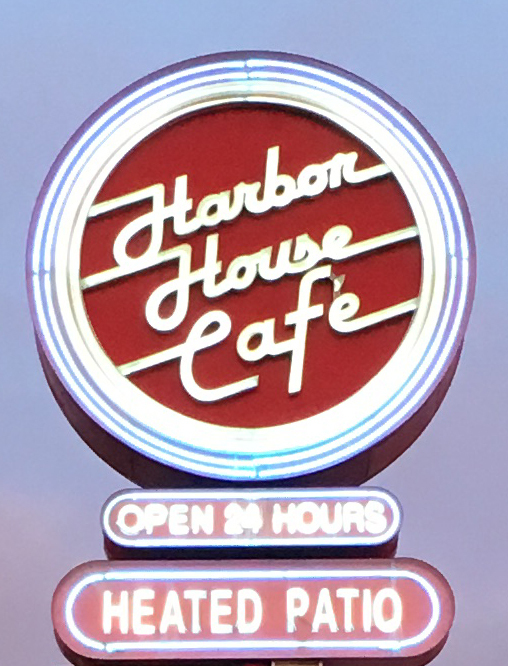 I’ve now posted about 55 restaurants (and have three more in the hopper!). Doing this blog has made me so happy, has led to so many adventures and places I never would have gone. (1928) La Golondrina Mexican Cafe, downtown L.A.
A beautiful old Mexican restaurant on Olvera St. La Golandrina has been there since 1928, but the building was built in the 1850s. Amazing stone fireplace and colored hanging lamps and artwork everywhere. A perfectly cozy coffee shop way out in the suburbs, full of nice people and comfort food. Hard to put my finger on why it’s one of my favorite places ever, except that I love coffee shops and this has everything I love in a coffee shop. The best bar I’ve ever been in, stuck on top of the restaurant like an octagonal hat, with windows on all sides looking out over the ocean. Back in the ’50s, a monkey escaped from the circus and lived at Tony’s, stealing sugar cubes from the tables. Perfectly wonderful greasy spoon diner, cramped and marvelous. It makes me want to be a private eye just so I could sit at the counter and growl for coffee in between solving crimes. (1908) Philipe the Original, downtown L.A. These places are connected in everyone’s minds because they both claim to have invented the french dip, and I love them both so much I don’t want to play favorites. In fact they are so different it’s impossible to compare; Cole’s is a sit-down place that let’s you dip your own sandwich and Mickey Cohen used to eat there, while Philipe’s has a busy counter where the sandwiches come pre-dipped, with sawdust on the floor and a line of old wooden phone booths. 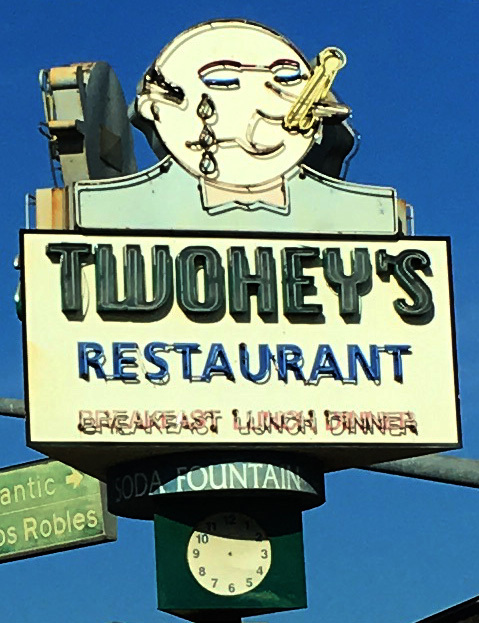 They both say wonderful things about what life was like in L.A. in the early 20th century, and it thrills me that they’re both still open for business. Categories: Uncategorized | Tags: Coffee Shops, Diners, dtla, historical L.A., historical los angeles, hollywood, Los Angeles, Restaurants, retro, vintage | Permalink.